For Japanese people, New Year’s is the most important holiday/festival of the year. This is when families gather to feast and visit their local temples and shrines to pray for good fortune in the coming year. 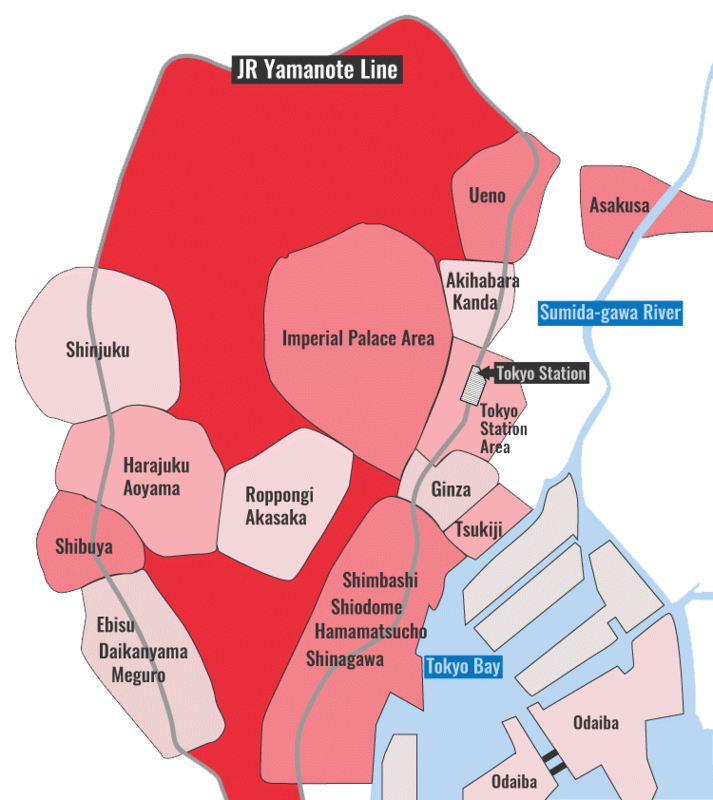 New Year’s is a fantastic time to be in Tokyo, but keep in mind that some places will be closed. It’s certainly possible to travel in Japan during this time, but you will have to deal with some closures and inconveniences. 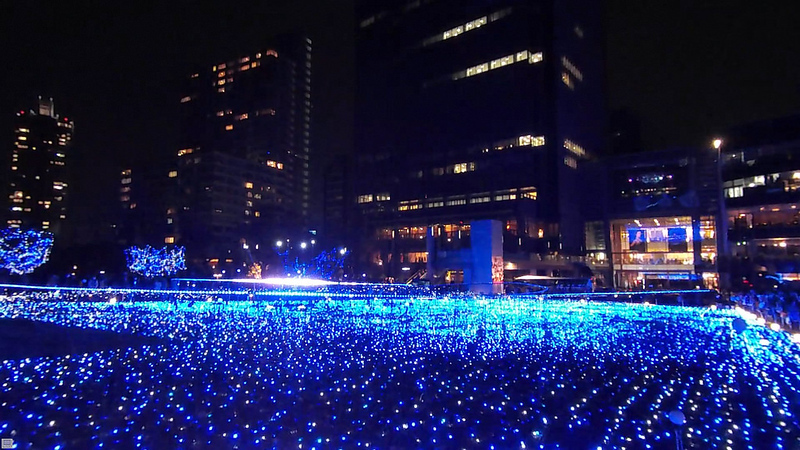 For more details, scroll down to the What’s Open and What’s Closed on New Year’s in Japan section. For Japanese, the most important part of the New Year’s holiday is gathering with the family to have a special feast, often held on the evening of December 31st or during the day on January 1st (or both). 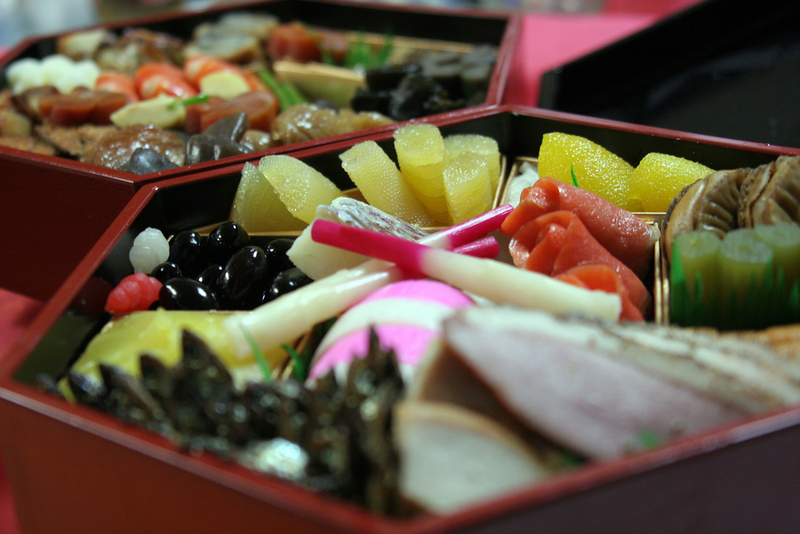 Unless you’re lucky enough to have friends in Tokyo, it will be tough to join such a feast, but you can sample the special Japanese New Year’s cuisine, known as o-sechi ryori, by stopping by one of the department stores and purchasing a ready-made assortment that you can eat at your lodgings. Another option on New Year’s Eve is to head to a luxury hotel and eat a bang-up meal at one of their on-site restaurants. See our Best Tokyo Luxury Hotels page for our top picks. After feasting on New Year’s Eve, some Tokyoites head to their local temple to perform joya-no-kane, a sacred bell ringing ceremony. Here, people line up to ring the giant temple bells and wish for good fortune in the New Year (and to get rid of bad karma from the old). Technically, the bells are supposed to be rung 108 times, a number symbolizing the sins to which the flesh is heir, but many temples will allow everyone a chance to ring the bell even if it exceeds this number. Ask at your lodgings to see if there is a temple nearby that will be holding a joya-no-kane ceremony on New Year’s Eve. One of the essential rituals for Japanese during the New Year’s holiday is hatsumode, the all-important first shrine visit of the New Year. Some people choose to visit their local neighborhood shrine, while others make the trek to one of the city’s larger famous shrines. Many people will visit a shrine on the evening of December 31st, while others during the day on January 1st, 2nd or 3rd. Once at the shrine, Japanese people will stand on line to ring the bell and say a prayer for a good New Year. Foreign visitors are more than welcome to join the queue and say a prayer at shrines. 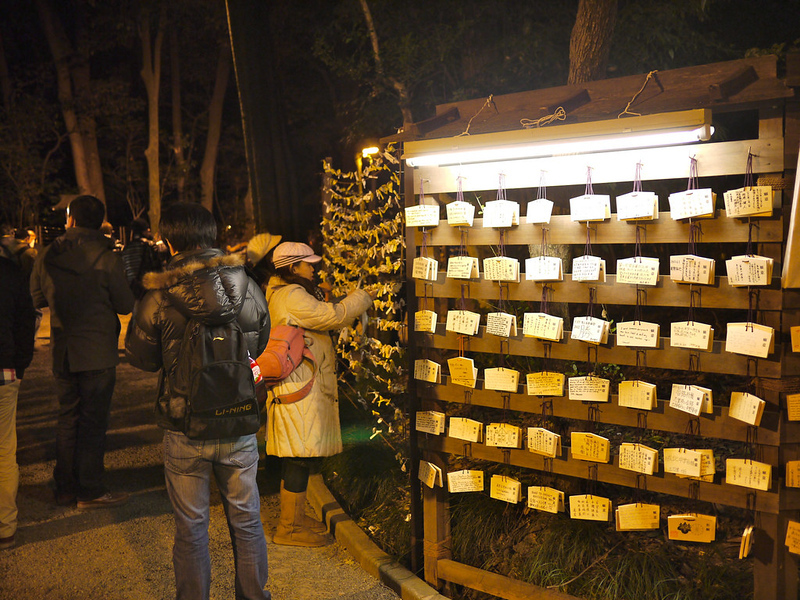 Some shrine-goers will also draw an omikuji (fortune) by shaking a numbered stick out of a special container and telling the number to the waiting attendant who will hand over the corresponding fortune (this costs Y100). Meiji-jingu Shrine: This sprawling shrine in Harajuku is the most popular place in the city for hatsumode. Thehuge crowds are all part of the fun. Yasukuni-jinja Shrine: If you don’t mind the nationalist associations, this shrine near the Imperial Palace Area is a lovely place for hatsumode. Asakusa-jinja Shrine: Located next to Senso-ji Temple in Asakusa, this shrine attracts hoards of people. While hatsumode is technically a Shinto ceremony, most visitors to the shrine also say some prayers at the temple for good measure. Staying in a good Western-style luxury hotel is a good idea if you’re in Tokyo over the New Year’s holiday. This is because many of the city’s restaurants are closed over New Year’s, but hotel restaurants usually stay open and you’ll be able to dine at your lodgings rather than traipsing all over town looking for an open restaurant. As mentioned above, Tokyo’s luxury hotels often serve special dinners on New Year’s Eve. Mandarin Oriental Tokyo: Pure luxury within walking distance of Tokyo Station and Ginza. Peninsula Tokyo: One of the best hotels in the city. Ritz-Carlton Tokyo: A brilliant choice if you want a huge range of dining and nightlife nearby. Shangri La Tokyo: Above Tokyo Station, a superb choice for convenience and comfort. For other hotel choices, see our Tokyo Hotels page. 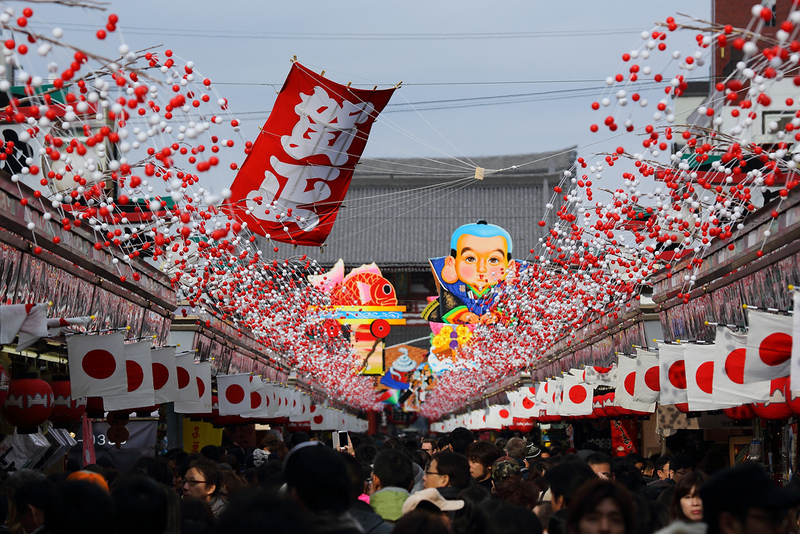 What’s Open and What’s Closed on New Year’s in Japan? Warning: It can be inconvenient to travel in Japan over the New Year’s holiday. While most attractions stay open, some attractions and many shops and restaurants will be closed. Here’s a list of what stays open and what closes over the New Year’s holidays. Since many restaurants are closed over the New Year’s holidays, it can be difficult to find places to eat. As noted above, convenience stores and fast food restaurants stay open, so these are always a good bet. Hotel restaurants also stay open. Finally, Tokyo department are usually only closed from the afternoon of December 31 and all day on January 1. Thus, you can buy food at their basement food floors from January 2, something that many Tokyoites do to tide them over until their local supermarket reopens, usually on January 3 or 4.